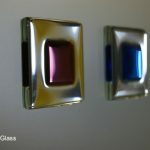 The Information and recommendations given here are a helpful guide to cleaning your new decorative glass panels. 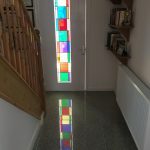 These tips are given in good faith and Leadbitter Glass cannot assume liability or responsibility for damage caused to decorative glass panels during cleaning. It is the owner’s responsibility to determine the suitability of any cleaning product used. 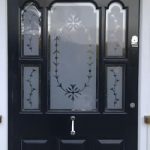 Single glazed Etched Glass or ‘sandblasted glass’ as it is also known has been coated with our Sandblast Protection to help protect the finish so it is important to clean the glass carefully. 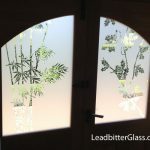 A Fused Glass panel is also created with an etched glass finish. We recommend using a soft demister pad that is usually used for wiping the inside of a car windscreen. 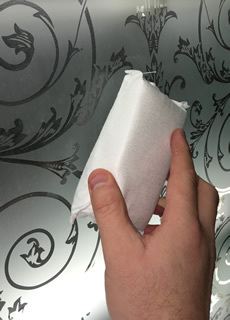 Some pads are yellow but we recommend using a white demister pad to make sure none of the yellow dye in the pad transfers onto the etched glass. Just use the pad without any cleaner and gently rub the glass with the minimum of pressure. Never use an abrasive product such as wire wool or a pan scrubber on the decorative side of the glass. 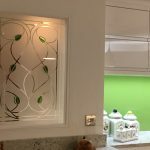 Our Leaded glass panels are made using Overlay Stained Glass films and pre-coloured lead strips so it is very important to clean the glass with materials that are not too aggressive. Pre-coated Lead Strip such as Ebony or Aged lead (our Option 2) must only be cleaned using a damp cloth or a soft cloth. Do not use any chemical cleaner or abrasive cloth. gently clean around the lead and do not rub the lead too hard. Decorative glass can be cleaned using glass cleaner that is not alcohol based or isopropanol based. These chemicals may be too strong and remove colour from lead strips. If your preferred method of cleaning glass is to use a spray or ‘squirt on’ glass cleaner, only use a water based glass cleaner. Natural Lead – Options 1 and 3 can be cleaned easily with a soft damp cloth. This lead will oxidise but over time, with regular cleaning, the appearance of the lead will settle and become a consistent grey finish. Most professional window cleaners only use a cloth dampened with warm water that does not contain any chemicals at all so this is the best method for the regular cleaning of glass. 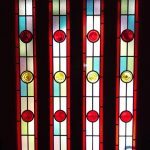 Do not use a dry cloth and do not over-rub the lead strip of an Overlay Stained Glass panel. Never press hard on the decorative areas of the glass. 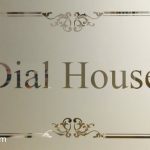 If you have any questions on the removal of stubborn stains, please contact the studio direct with your surname and date of purchase of the glass and we will try to help you as much as possible. The oxidation of pure lead is a natural process. 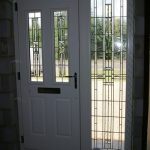 Please click here to read about what to expect with leaded glass designs.